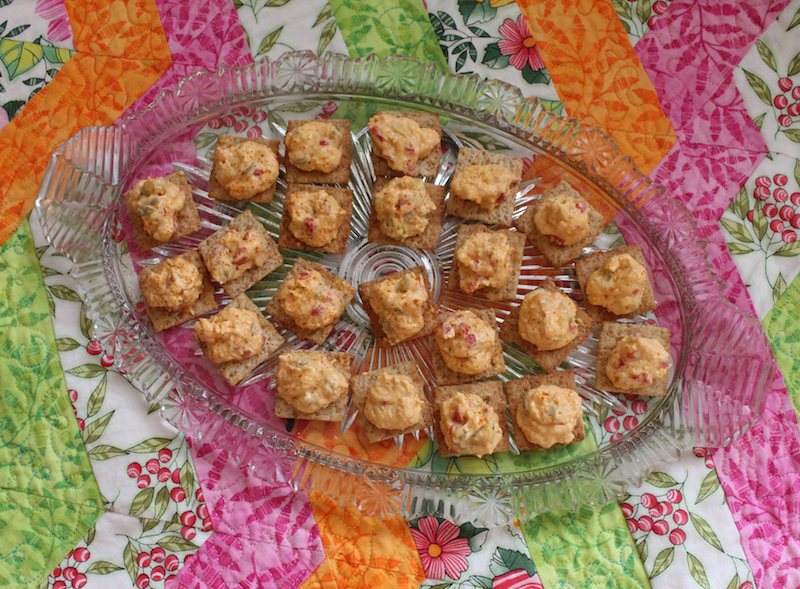 Despite its northern origins, pimento cheese is a staple of southern childhood. 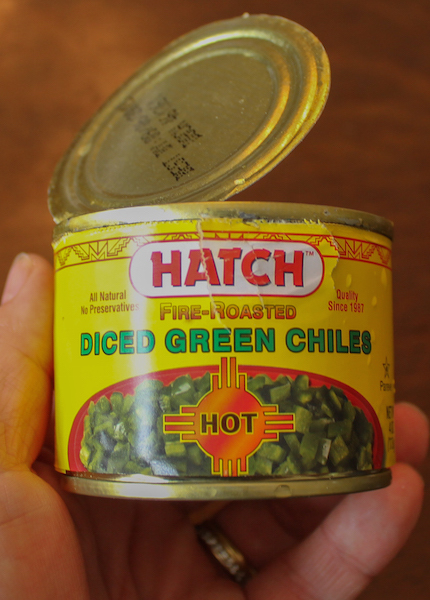 While researching its history, I discovered that many families bought it ready-made in stores, keeping a small tub ever present in their refrigerators. My grandmother always made it with homemade mayonnaise, as does my mother. 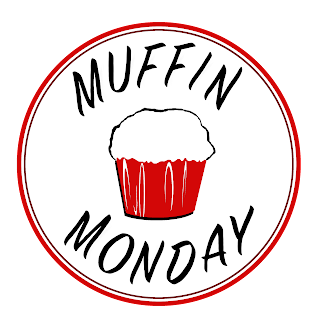 If you are so inclined, here’s a link to their homemade mayo recipe with step-by-step instructions. Pimento cheese spread on white bread is the sanguine stuff of childhood summers, best eaten high in the nearest climbable tree, favorite book in the other hand, scuffed bare feet swinging in the breeze, amongst the flutter of the pink and white fluffs of mimosa flowers or wisps of Spanish moss draped from ancient oaks. Pimento cheese was once considered fancy food – think teatime sandwiches cut in triangles with crusts removed. 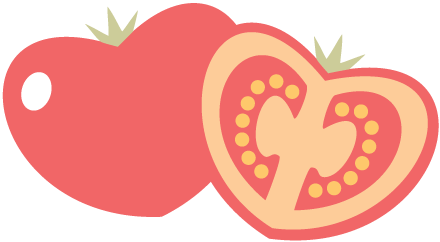 It evolved into everyday fare as red peppers, initially imported from Spain, were cultivated in the south and prices fell. There are almost as many recipes and combinations for delicious pimento cheese as there are cooks. 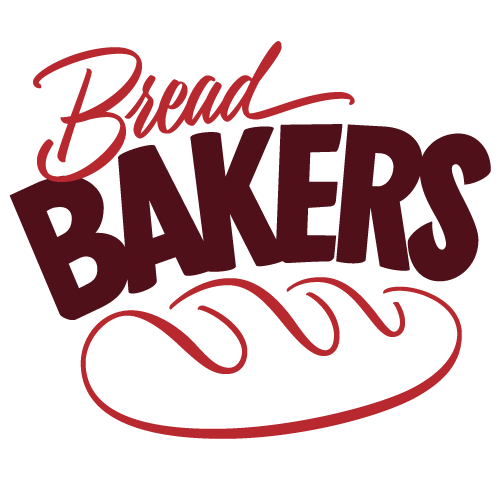 It fits our Sunday Supper theme today – Foods That Travel – not just historically with its popularity spreading from north to south but also with the ease it can be served, between slices of bread or on crackers for tasty sandwiches and appetizers on the go. 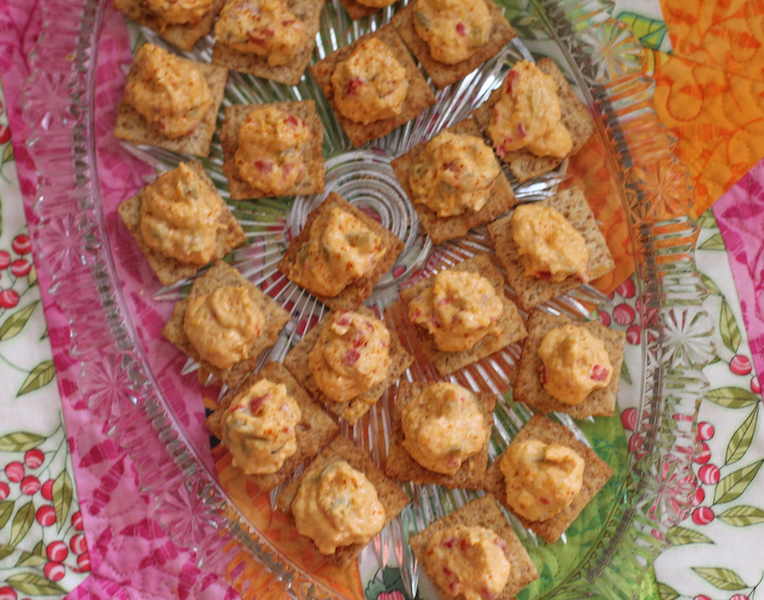 I’ve made this many times over the years to take along to potlucks or teas, just recently, in fact, piping the pimento cheese onto crackers and sharing it with a close group of friends I’ve treasured for more than 40 years. I hope you enjoy it as much as we did. 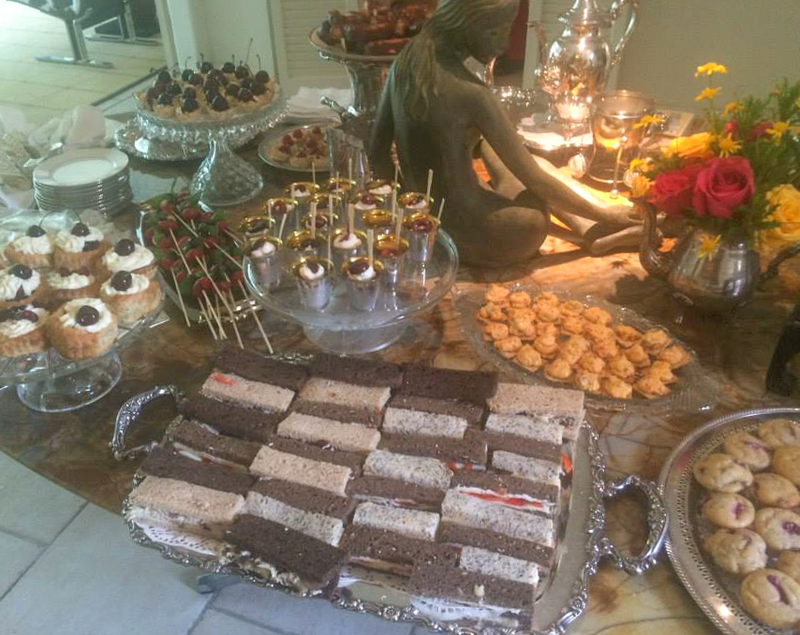 My humble pimento cheese joined a table laden with delicious teatime fare. Many thanks to our host for this week’s Sunday Supper, Marion of Life Tastes Good, who is ably assisted by Coleen at The Redhead Baker. 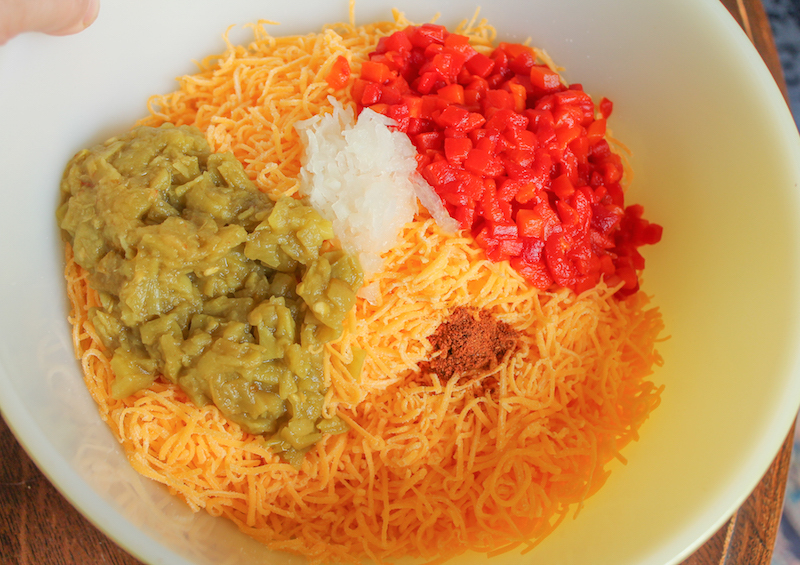 In a large bowl with plenty of room for mixing, use a fork to combine the first five ingredients thoroughly. 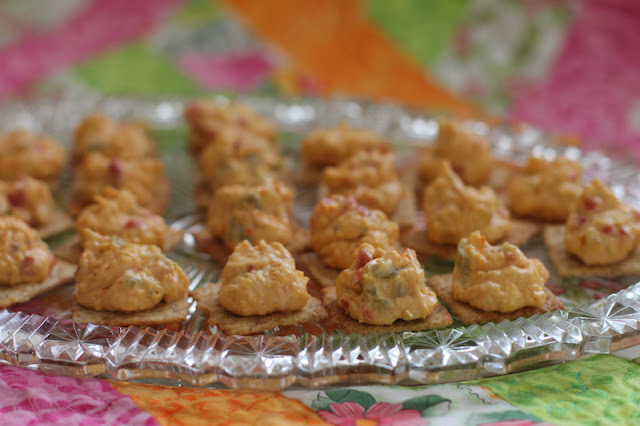 Spread on bread for sandwiches or put the spicy pimento cheese in a sealed plastic bag, cut off one corner and pipe it onto crackers. For the tea, I snipped my bag and closed it with a secure clip so I was ready to lay out crackers and pipe on pimento cheese immediately. Food That Travels! Sprinkle with a light dusting of more cayenne, if desired. 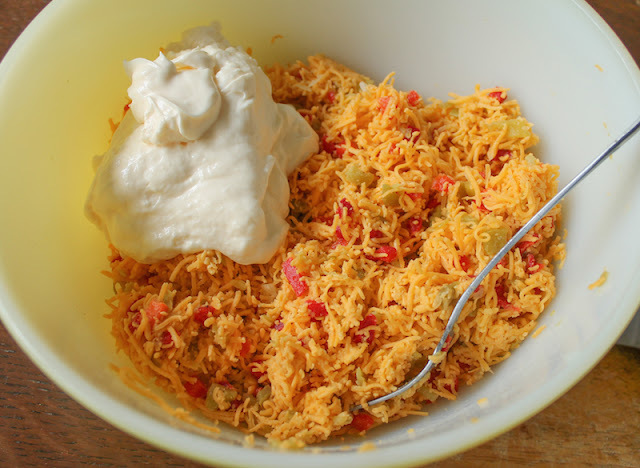 Looking for recipes to pack for lunch and head outdoors? 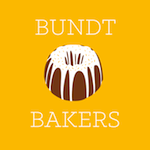 Need inspiration for upcoming National Night Out get-togethers or family reunion potluck picnics? Sunday Supper is here to help!